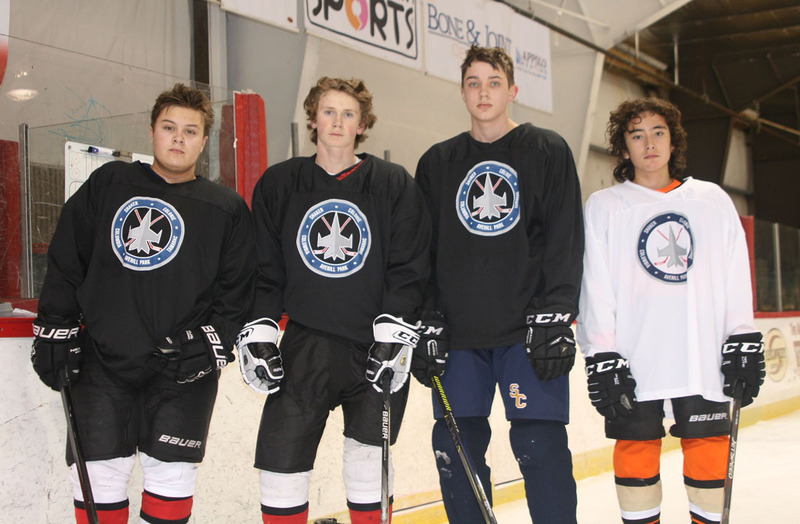 Columbia students (L to R) Johnny Ely, Collin Dougherty, Carson Kehmna and Joshua McKinney in uniform for the Capital District Jets, a new ice hockey team with players from North Colonie, South Colonie, Averill Park, Brunswick and East Greenbush. 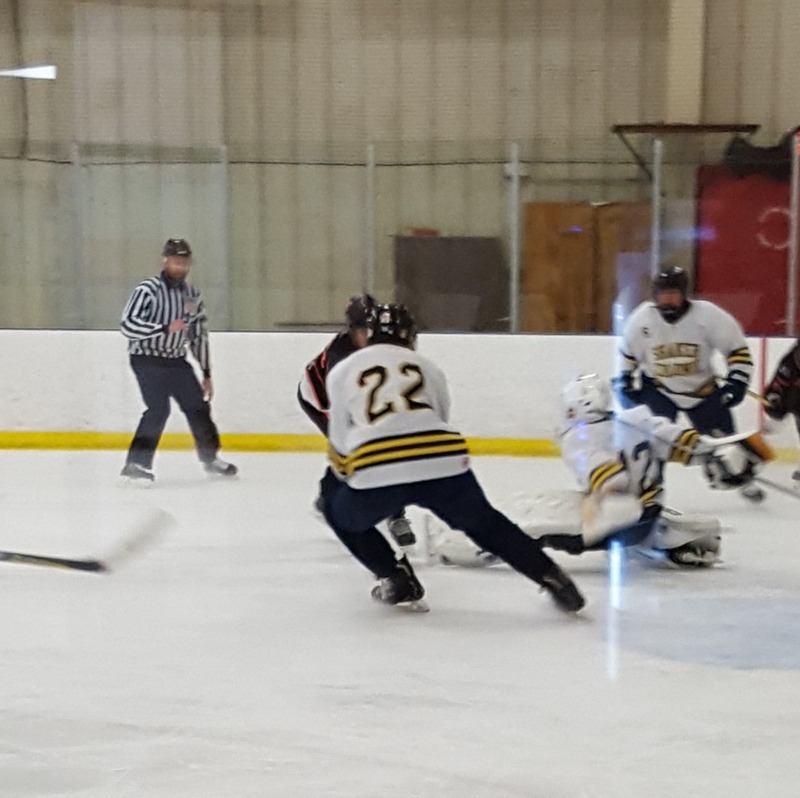 For the first time in their lives, Columbia High School students Collin Dougherty, Johnny Ely and Carson Kehmna played in a high school ice hockey game last Thursday. They weren’t wearing Blue Devils jerseys, but that didn’t matter. 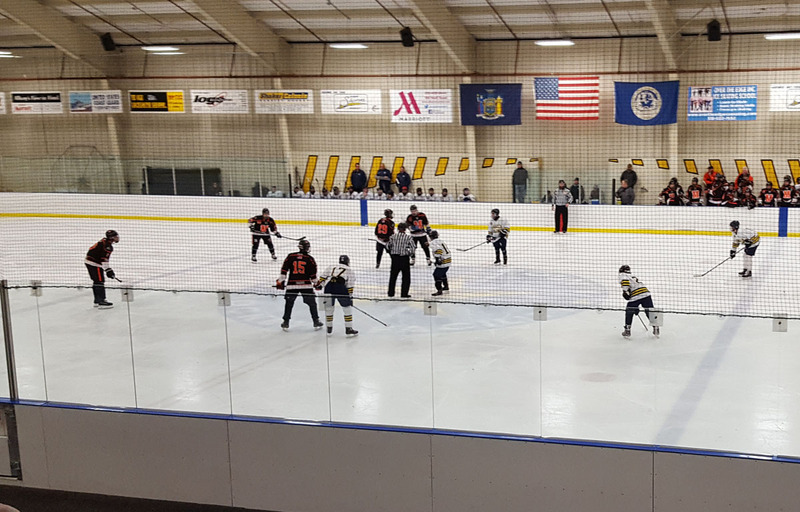 They were playing for the Capital District Jets, a new team with players from five local school districts – North Colonie, South Colonie, Averill Park, Brunswick and East Greenbush. Johnny Ely, right, tangles with an opponent during the season opener. “I was pretty excited when I found out it was going to happen,” said Mr. Kehmna, a sophomore defenseman. Each of the Columbia students, as well as 8th grader Joshua McKinney who plays on the practice squad, have played hockey for years. But that was limited to club teams because Columbia’s merged team with Troy was dropped in 2003 due to low participation numbers and funds. 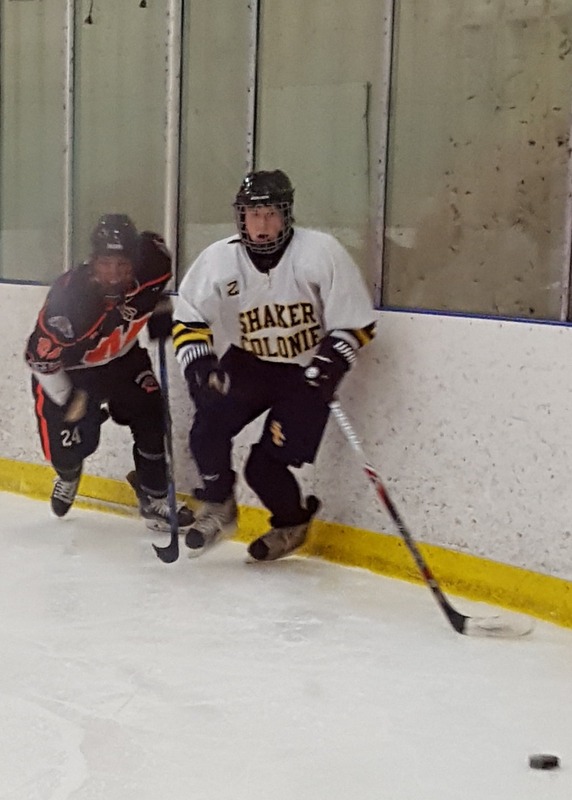 This past spring, the Shaker Colonie hockey team, comprised of North Colonie and South Colonie students, began a search for more players from other local school districts. The athletic directors reached out to their counterparts to see if other high schools without a current team had player interest. 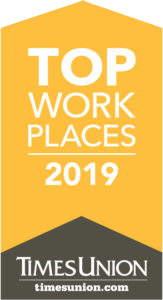 The new team came together over the spring and summer, requiring approval from Mr. Leonard, Columbia Principal Michael Harkin, Superintendent Jeff Simons, the East Greenbush Board of Education, the Capital District High School Hockey League and Section II Athletics. The Capital District Jets began practice earlier this month and play their home games at the Albany County Hockey Facility near Albany International Airport. Though the Jets lost their first two games of the season last week, the players from Columbia believe they will improve as they become more familiar with their new teammates. Mr. Dougherty, Mr. Ely and Mr. Kehmna also commented on the speed of the game and enjoyed the higher level of play. And they loved playing in front of so many fans. “It was pretty much packed,” said Mr. Dougherty, a junior defenseman. The Jets play in a competitive league with teams such as Saratoga, Shenendehowa and Albany Academy, so they want to come together quickly. 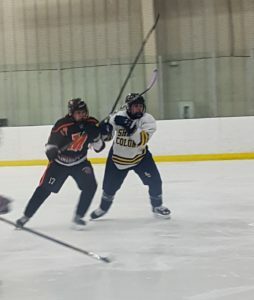 Their next game is tonight at 8:30 p.m. against Guilderland/Mohonasen/Scotia, another merged high school team, at the Schenectady County Recreational Facility. The Capital District Jets season opener against Guilderland/Mohonasen/Scotia on November 23. Collin Dougherty skates towards the puck. Carson Kehmna makes a defensive play in front of the net.